It is now possible for the public to instruct barristers directly, without the need to first instruct a solicitor. I offer this service. 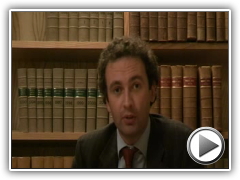 Michael Stradling is a barrister at 9 Bedford Row, a leading set of chambers for criminal and international law. Michael started his career undertaking a range of civil and criminal work, and then went on to specialise in criminal defence. He is able to accept instructions directly.